Apache port (80) is already used by another application ! Close this application and try to run again the server. To close this application : open <easyphp folder>/binaries/tools/cports/cports.exe, find the line with the port already used in the column “Local Port”, right click and choose “Kill processes of Selected Ports”. I could of course just change the port, but I really wanted to find out what is causing this problem. EasyPHP error message suggested to locate cports.exe to find the culprit, but I decided to first check the Programs and Features in control panel to see if I can figure out why the Apache server cannot listen to default port 80. Looking at the list of installed programs I quickly found one such application that might be causing this issue. It was IIS Express 8 which was installed long time ago and I have totally forgotten about it. So solution seemed simple. Uninstall IIS Express 8 and the issue will go away, but to my surprise, that still didn’t solve the problem at all. Starting Apache failed again with the same port 80 is busy problem. So I decided to take advice from that EasyPHP error message about using cports.exe. For Process Name it showed System while Process ID showed 4. Even the option Kill Processes Of Selected Ports was grayed out. Since currPorts was not giving me the information needed I decided to try my luck with commands in command prompt. The one I tried first was netstat, a command showing network activity. -n : Displays addresses and port numbers in numerical form. About Pipe (|) and more command: Pipe redirects the output of the netstat to the next command (in our case more) which is a pager that displays a content one screen a time. Press space bar to scroll to the next page. and below all these, there was a message “Can not obtain ownership information”. PID stands for Process ID with PID 4 being a System Process where most system processes originate from. I tried to use Process Hacker utility to look for any information that would point me to what is causing this problem but I didn’t find any. So I decided to try another command net stop which is discussed next. By individually stopping each service in the generated list (by using services.msc), I wanted to find out if any of these services are responsible for taking away port 80. When particular service was stopped and had no effect on Apache, I chose the next service in the list. After stopping all the services in the list I was still getting the error, so I went back to the web looking for possible causes and what caught my attention was http.sys process which is discussed next. Open the Start Menu, search for services.msc in the search box and run it. The new window will show up with a list of all the services. To stop a service, find the one you are looking for, right-click on it and select Stop. To make sure, the service stops even after computer restart, disable the service all together. 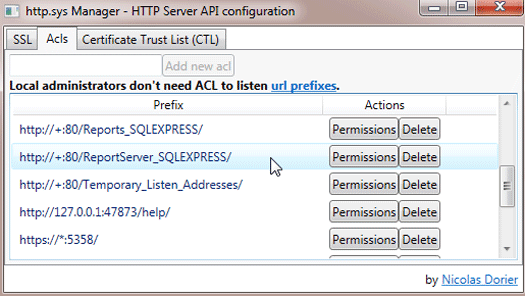 To disable the service, right-click on that service, choose Properties and under General Tab for option Startup type, select Disabled in dropdown menu and click OK. Before disabling the service, you might want to find out first what role the service has, just to make sure you don’t really need it. Http.sys is a driver that enables multiple processes to listen to HTTP traffic on the same port. But examining this driver in Task Manager and also on Process Hacker revealed no useful information relating to ports. Two of them were for SQL Reports. I quickly checked the list of services and found SQL Server Reporting Services (SSRS). After I stopped it Apache was able to run without error. There was still one thing to check up. I wondered if this SQL Reporting service was the only culprit or will any of the stopped services from the net stop http list still cause problems. By restarting all those services the Apache was unable to run once again. In the end it turned out that besides SQL Server Reporting Service I also had to disable World Wide Web Publishing Service (W3SVC). After those two were disabled, port 80 was finally available for Apache. 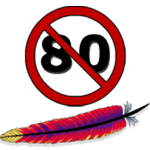 If Apache won’t start on port 80, we can either set it to listen to another port, or we can try to locate the application or service and stop them if they are not needed. With the help of CMD commands and various utilities this can be an easy task, but if the Process listening to port 80 is System Process with PID 4, then it takes a little more effort. I hope you found the information here useful. If so, consider dropping a comment or share the post on social networks. Thank you for all of this helpful information. The first thing I tried was Sercan's comment, 'stop the Web Deployment Agent Service'. Ampps started without error. Very nice! Then it is something else causing the port 80 problem. Check if there is World Wide Web Publishing Service (W3SVC) in the list. Great detective work! I also had to stop SQL Server Reporting Services in addition to World Wide Web Publishing Service since I installed SQL Server on my Windows 10 machine. Stopping "SQL Server Reporting Services" did it for me. thank u. Also found if your Skype found to be active. Then the same error comes in. Just logged out from Skype and found to be the issue got resolved. I killed the World Wide Web Publishing Service (W3SVC) and Ampps start working. Thank you for pointing out that the download link doesn't work anymore, since CodePlex has shutdown. There is a version on a GitHub. but it doesn't have any releases, so you need to build it yourself.